The frame is the name of the game and we’re not talking about pictures. Sunglasses are an accessory that never go out of style. Whether it’s Summer or Winter the sun always shines and outfits always need that final touch. Corey Hart even made it acceptable to wear them at night on those special occasions. 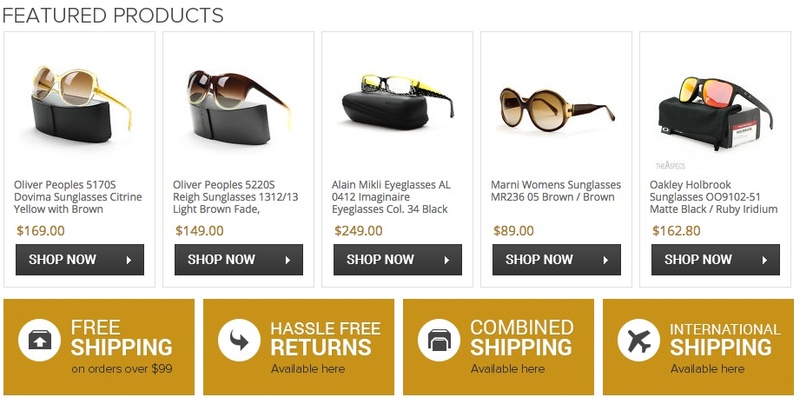 Sunglasses come stylish and make a statement at The Aspecs, and the custom eBay store design they chose for their site does the exact same thing! The Aspecs recently partnered with OC Designs Online for a custom look. Now, everything is in focus and shopping for stylish shades have never be easier. The information panel in the header of this custom eBay shop design is bold and gold. The panel has different divisions to section out the shop categories. Above the panel customers will find the name of the shop glistening in gold as well. “Luxury Brands For Less” lies underneath the store name while really popping from the black background. The header also features a custom search section, a panel dedicated to what makes The Aspecs so special, and credit card options in the top right hand corner so show all accepted forms of payment! The midsection of this eBay store design allows customers to shop by brand and category. Stylish names like ic! 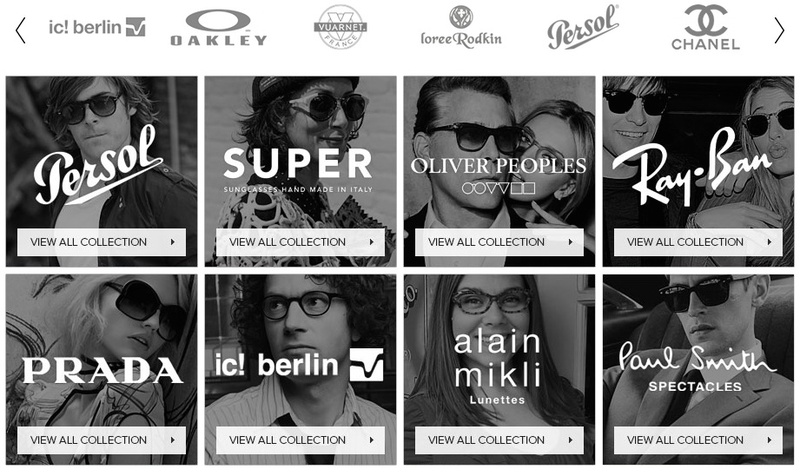 berlin and Ray Ban are lined up in black and white tabs across the screen. Each tab has a rectangle tab within it prompting online shoppers to click to see the entire collection! Above the square tabs the individual brand names are listed horizontally across the screen. The Aspecs doesn’t fall short when it comes to stylish sunglasses with name brands. The footer of this eBay shop design is a spec’tacular place to find the perfect pair of shades. Individual tabs on the main page of the shop host an image of the product, brief description, price and option to check out the item with the click of a button. Four gold tabs line the bottom of the screen highlighting perks with the shop to end on a pleasant note. OC Designs Online have a wide array of eBay listing templates to choose from on the site. Take a moment to browse our portfolio and request a free quote. You won’t be disappointed at the selections. Also, don’t forget to find us on Facebook, follow us on Twitter and check out our Google+ Page too!